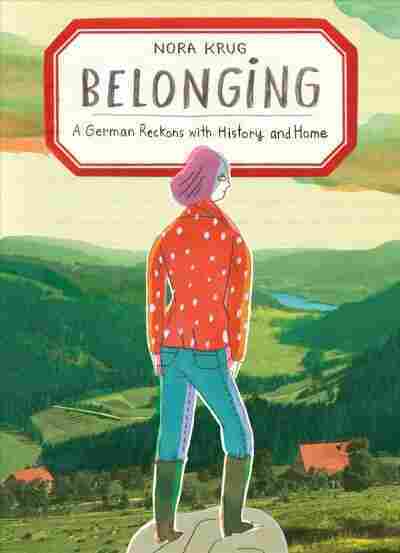 'Belonging' Explores The Notion Of Homeland And Inherited Guilt In its searching honesty and multi-layered, visual and verbal storytelling, Nora Krug's memoir investigates mixed feelings about being German and her family's role in the Holocaust. Pick up Nora Krug's reverberant graphic memoir, Belonging, and be prepared to lose yourself for hours in this unstinting investigation into her conflicted feelings about being German and her family's role in the Holocaust. In its searching honesty and multi-layered, visual and verbal storytelling, it packs the power of Alison Bechdel's Fun Home and David Small's Stitches (though Krug's fraught relationship is with her homeland, not her parents). It also brings to mind Ursula Hegi's epic exploration of German guilt and suffering in her 1994 novel, Stones from the River. Krug was born in 1977, and her parents, both academics, were born in 1946 — the same year as Hegi. Her parents grew up in what Krug calls "the age of oblivion," a time when escapist romance drama dominated German television. Krug learned about the Holocaust in school right around the time she first menstruated, leading her to conflate the shame of being German with the shame of being a woman. High school class trips involved visits to concentration camp museums in Germany, France, and Poland. Studying abroad exacerbated Krug's sense of guilt and embarrassment over her accent. She became increasingly baffled over her mixed feelings towards her homeland — Heimat in German, which is the original, stronger title of this book but a word now unfortunately tainted by its association with extreme right-wing politics. Heimat's deeper meaning encompasses not just home, but the place that forms you and establishes a sense of belonging. Krug's unease is not alleviated even after she emigrates to New York, a situation she expresses succinctly in a drawing of a tiered wedding cake festooned with script that reads, "Not even marrying a Jewish man has lessened my German shame." The key question that drives Belonging is, "How do you know who you are, if you don't understand where you come from?" To encapsulate this dilemma, Krug produces several variations of German Romantic painter Caspar David Friedrich's 1818 masterpiece, Wanderer Above the Mist — a heroic, silhouetted blond male figure clad in greatcoat, tall boots, and walking stick standing atop a craggy summit and looking out over a majestic landscape below. Among her tweaks: gorgeous pink-washed clouds, and several portraits, including her cover illustration, that substitute herself for the mountaineering male Friedrich painted 200 years ago. A page from Belonging, by Nora Krug. Krug's curiosity about her family's history is sparked after she learns that her uncle — her father's older brother Franz-Karl — died at 18 fighting in Hitler's army in Italy in 1944, two years before her father was born and named after him. Her quest broadens to her paternal grandfather, Alois, a prosperous farmer whose sons — one Franz-Karl after the other — were supposed to succeed him tending the land. She also tries to get to the bottom of the hostile rift that divided her father and his older sister Annemarie decades earlier. On her mother's side, Krug doggedly tries to track down evidence of what her grandfather, Willi Rock, a chauffeur and driving instructor, and her grandmother Anna, who owned a milk business, did during the war in Karlsruhe — their hometown, and later hers. Was Willi a Social Democrat, or among the 15 percent of Germans who joined the Nazi party? She builds considerable suspense around these revelations. Belonging is both emotionally and graphically complex. It is richly illustrated with cartoons, family photographs and letters, handwritten text, and archival German documents annotated in English by Krug. 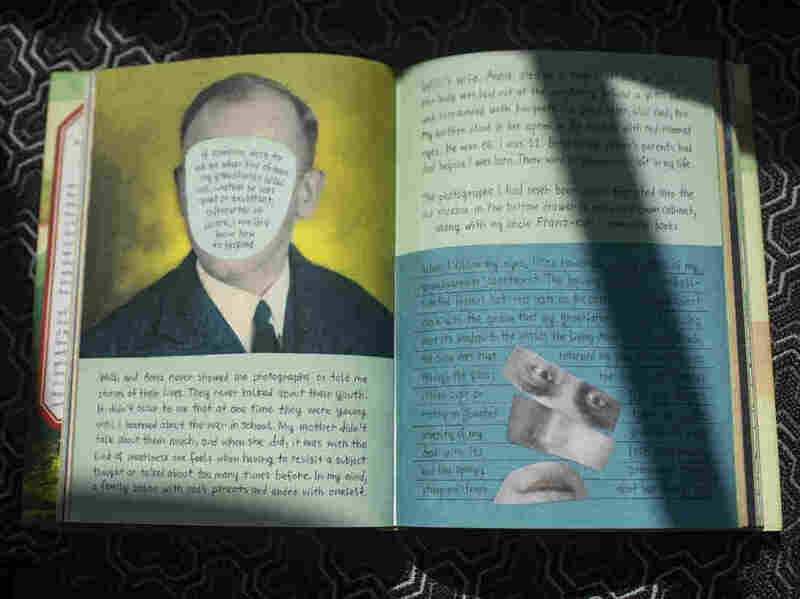 Her uncle's school essays, which are filled with ugly anti-Semitic propaganda, are disturbing, as are flea market finds like Hitler Youth toys that include a nasty caricature of a Jew. There's a lot to take in, and with its scrapbook abundance, the book can be visually challenging — particularly when Krug deliberately fades her lettering to express hollowed out feelings. But it's endlessly absorbing, and you wouldn't want to read this book in the dark anyway: Stark reminders of Nazism's brutality are haunting. Seeing photographs of Germans forced, often barefoot and with hands over their mouths, to confront the atrocities committed in concentration camps, and reading about Karlsruhe's Reichskristallnacht in 1938 from Krug's point of view is powerfully affecting. Krug balances this terrible history with bucolic scenes of the German countryside, and a running feature titled "From the notebook of a homesick émigré," which flags iconic practical and comforting German items that she misses, but can only go so far to salve wounds. These include a hot water bottle and dark, crusty sour German bread. There's also soap that's been made from ox gallbladders since the mid 1800s that "guarantees your shirts come out as white as snow" — a different form of whitewashing. She notes ironically that Uhu, a synthetic adhesive invented in 1932, can fix just about anything — though "it cannot cover up the crack." Krug writes about mending and reparations, but she doesn't let herself — or readers — lapse into complacence. One of the scariest and most resonant lines in a book that's full of them reads: "The 2017 national election in Germany has given rise to a new right-wing party. The extreme right has claimed seats in parliament again, for the first time in more than half a century."